NOTE: If you want to skip the implementation details presented below and simply use this project now, it is available on GitHub here. 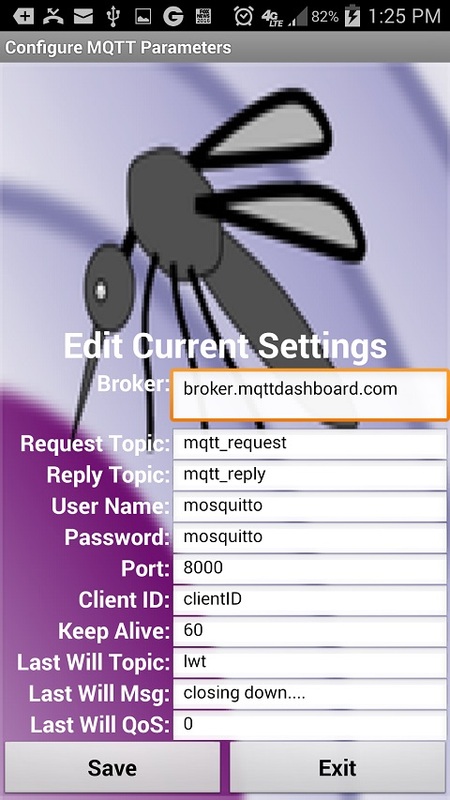 My initial App Inventor MQTT project used the Mosquitto client library. While that was great for developing the “proof-of-concept”, demonstrating that you could indeed link an App Inventor project to an MQTT broker, some serious shortcomings soon became evident. When attempting to refine the project to support broker connections with authentication, I discovered that the Mosquitto library did not support this basic feature. So a new library was needed. Fortunately, an existing open-source client library is available with full support for password-enabled logins. Here is how the expanded App Inventor configuration screen looks. When user name/password credentials are not used, the fields should remain blank. 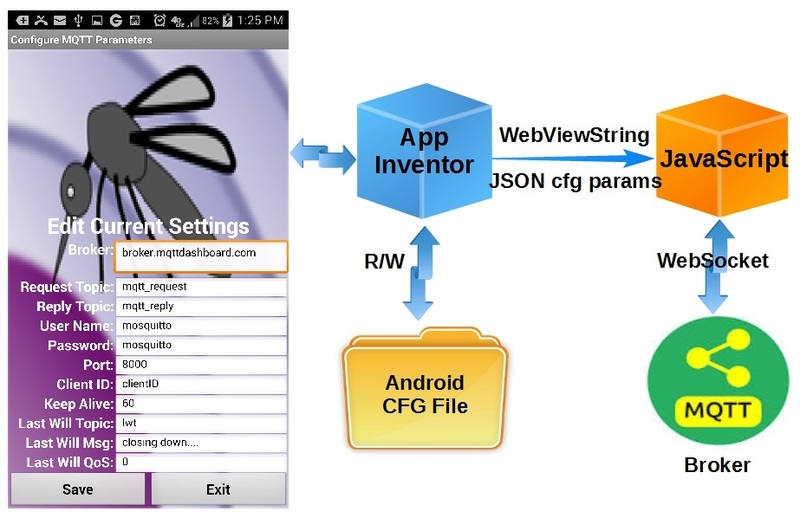 Just as before, the configuration settings are stored in an Android device file. Upon start-up, the system initializes with the values stored in that file (cfg.txt). A last will message has been added to the set of App Inventor configurable parameters. As per the MQTT specification, the last will message is sent when the MQTT connection is closing. Enter the Host broker as shown below and click “Connect”. Open the updated MQTT App on your Android device. 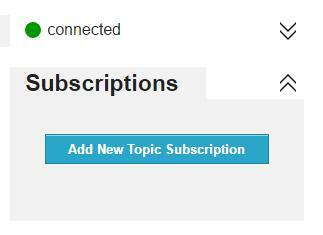 Click on the “Configure MQTT” icon. Edit or take note of the last will topic and message. Close the App Inventor app and verify the HiveMQ client displays the last will message. Note: Use a broker that supports username/password logins to verify that new configurable parameter pair. Refer to this post if you would like to setup your own MQTT broker with login authentication enabled. // Check dependencies are satisfied in this browser. Changes to the App Inventor code simply expand the scope of the configurable parameters. Again, a review of the code should make these changes self-evident. There you have it. 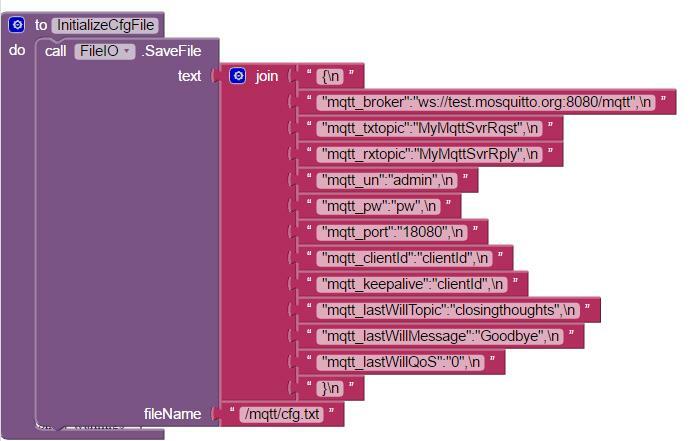 It is with great pleasure to present this update which supports username/password MQTT connections using the AppInventor. I hope you find this information useful. Thanks for this update, really useful. But I do not understand this “localStorage” issue. When I discovered that the old mqtt library was not available, I also changed to paho, and I have not found any issue, and the library worked as the previous one. Is it related to the new configuratin parameters?. I enclosed the code I am using now, based in the your first post. Hi, I'm trying to implement this project with a Raspberry Pi 2 instead of an ESP-8266. What sort of changes would I need to do to make this work? Would I just be putting the server on the Pi rather than the Esp? 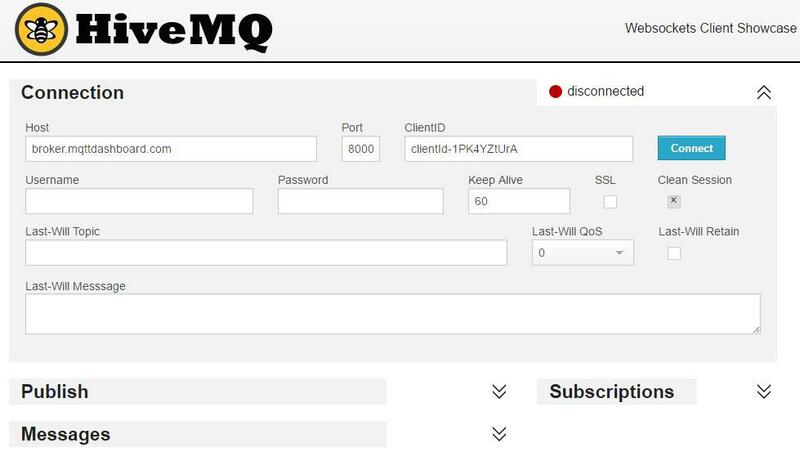 This project communicates with any device that subscribes to the same MQTT message. That device can be an ESP8266, a Raspberry Pi, Arduino or any other device that supports MQTT, I suggest you make a simple Raspberry Pi project that supports MQTT and get the communication working to an MQTT client. One possible MQTT client is mentioned in my article. I do not have any Raspberry Pis but I would say that it would most certainly support MQTT. <a href="https://learn.adafruit.com/diy-esp8266-home-security-with-lua-and-mqtt/configuring-mqtt-on-the-raspberry-pi" target="_blank">Here </a> is one guide to setting up the Raspberry Pi to support the MQTT interface. I found it with a quick google search. You might try it, and then add the code from my project, or search for another one that suites your needs. It really should not be that difficult to do with your Raspberry Pi. One note that I am compelled to share. All the experiences users have shared using the Raspberry Pi as an MQTT broker suggest you will not be pleased with the resulting performance. I suggest you use your Raspberry Pi as an MQTT client and use a separate platform to satisfy your MQTT broker need. I am using a small netbook as an MQTT broker for all my project, which works very well. The goal is to have App Inventor talk to the RPi through MQTT. I do have a RPi running a broker and communicating with other MQTT client apps found on the Play Store. I also have node-red installed and comms working as well. However I am having problems with getting AI to RPi MQTT. Im not opposed to making the RPi a client and using a home PC as the broker, as long as I can still communicate and control the I/O's on the Arduino through App Inventor. Not sure what I'm doing wrong, but after alot of back and forth, still nothing. Hello! Please tell me how to use WEB invisible component in your App Inventor project. does your code support TLS? I'm learning AWS IOT, it requires private key and certificate for mutual identification. Thanks. My <a href="https://wp.me/p5NRQ8-sk" target="_blank">latest post</a> provides instructions for setting up a secure SSL/TLS MQTT Broker. Next will be a secure ESP8266 MQTT client connection to the broker example. Eventually, I intend to update the AppInventor code to support secure TLS connections, but the code presented currently does not support TLS.